Ottawa First Aid is the most popular, lowest priced and experienced provider of St Mark James CPR and AED courses in Ottawa. Training courses on basic first aid, CPR, and use of AEDs are available for prospective trainees. Special classes such as a “CPR only” training course are also offered by Ottawa First Aid. These training courses are divided into levels “A”, “C”, and “HCP”. CPR Level “A” offers basic CPR and AED training for adult and child victims; CPR Level “C” offers basic CPR and AED training for adult, child, and infant victims, along with basic first aid; and CPR Level “HCP” which offers comprehensive CPR and AED training for health-care providers. Trainees may also renew / re-certify expiring certificates through re-certification courses provided with this St Mark James training provider. Private training courses are also available for small or large groups which may be hosted at the Ottawa training centre or, if space is available, can be held at your location. Participants may also register for combined first aid, CPR and AED class by attending standard first aid, a two day course, or emergency first aid which is a one day course. To register for a first aid and / or a CPR and AED course in Ottawa, Ontario complete the registration form provided below or use the contact information posted on this page. You can register via telephone, email or complete your payment for the course by visiting the Ottawa First Aid website by clicking here. Email and website information are provided below. The cost of training courses at Ottawa First Aid can’t be beaten by other competitors. Whatever training course you enrol in, Ottawa First Aid will have the best prices for the best quality training service. Ottawa First Aid boasts a huge collection of training courses and classes to choose from, with a courses occurring at a variety of dates, times and locations every week. Private classes are available to groups of individuals that don’t want to attend a course at the Ottawa First Aid training centre. Ottawa First Aid utilizes the up-to-date techniques for its first aid, CPR, and use of AED training courses. Make no mistake – you will be given the best training to make your skills competitive in the health care market. Absolutely no St Mark James provider has better maintained or cleaner training facilities. Ottawa First Aid ensures of possessing the best training and learning centres for all its training courses. Ottawa First Aid delivers 3 convenient ways of enrolment. Prospective trainees can enrol in a training course through the telephone or the internet (on-line application forms and e-mail). AED pad position on a child victim. 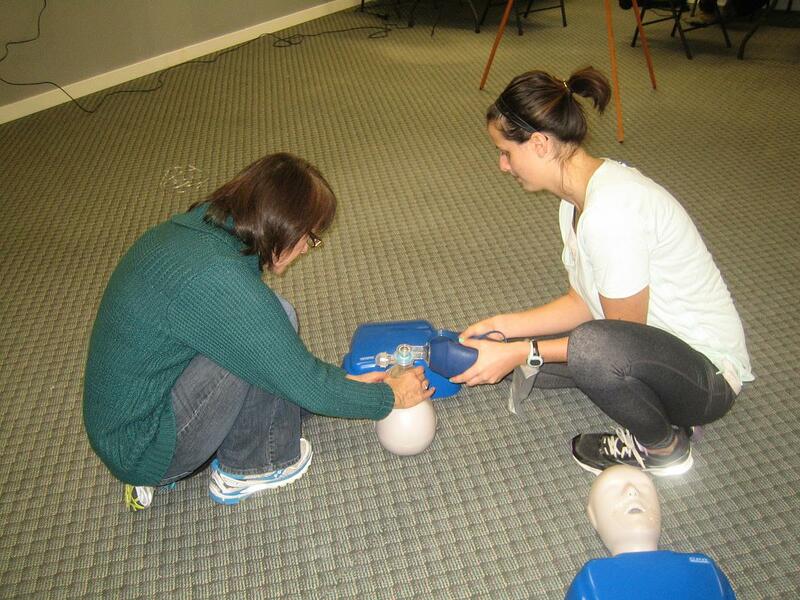 All training course levels at Ottawa First Aid include training with AEDs. AEDs are a vital part of Basic Life Support (BLS) which focuses on emergency response system following recognition of cardiac arrest. AEDs have now become commonplace as survival rates of victims increase with CPR and defibrillation within 3-5 minutes after collapse. Ottawa First Aid ensures that you will have the best training in response to varied emergency situations. Three-Year Certifications St Mark James overviews all first aid, CPR, and AED training courses are given by Ottawa First Aid. Trainees who successfully finish the training course are given a current three-year, St Mark James first aid aid, CPR, and AED license. Refresher courses are also offered by Ottawa First Aid to trainees with current certifications or have certifications that are close to expiration. Participants must meet a variety of re-certification requirements prior to registering. Previous award must be from a “full” / non re-cert St Mark James first aid and / or CPR course. Not all awards are available for re-certification. Check with this provider to ensure that a re-cert course is available for you. Don’t waste another minute! 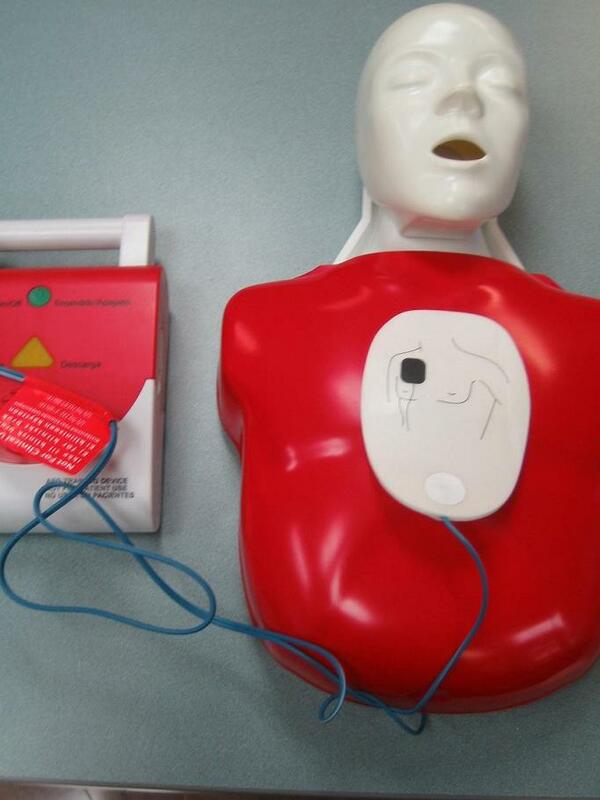 Head over to Ottawa First Aid to get the best first aid, CPR, and AED training available. Check the scene for any hazards that can continue to harm the infant or pose a threat to the rescuer. Try to establish a history or method of injury for the victim. If the parents or guardians are present the rescuer must ask for and receive permission to provide aid prior to continuing. If available the rescuer should wear protective equipment such as gloves and use a pocket mask. In the attached video the St Mark James instructor shows the basic steps in providing CPR for an infant victim. To learn more CPR and AED enrol in St Mark James training in Ottawa, Ontario.